Apple brings its signature browser to your PC and gives IE and Firefox a run for their money. Users are sure to love the sleek, minimalist design and overall good performance. Safari keeps its user interface simple and to the point. Gray and black navigational buttons can be dragged and dropped to your desired location. You can choose to hide or display the menu and bookmark toolbars. 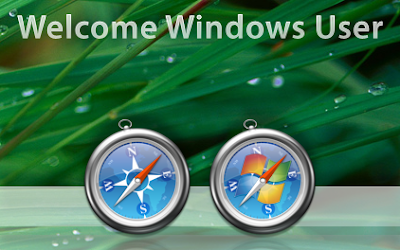 The Preferences menu makes it easy to set your homepage, manage your browsing history, and check for RSS feeds. The Top Sites feature displays all of your favorite Web sites in an attractive, gallery-style display. You can edit the sites, and clicking on them introduces the full page to your browser window. We were able to use the zoom feature and its hot-key combos to zoom in and out of pages. And we especially liked the bookmark feature, which displayed our favorites in the same gallery style as the Top Sites feature. Safari includes a built-in Help file, and it has a feature for reporting any bugs. We found that it performed very well, and let us browse quickly without any hiccups. If you’re a Mac fan, or are just looking for a simple and solid-performing browser, Safari is for you.